Disability is not an obstacle to success. 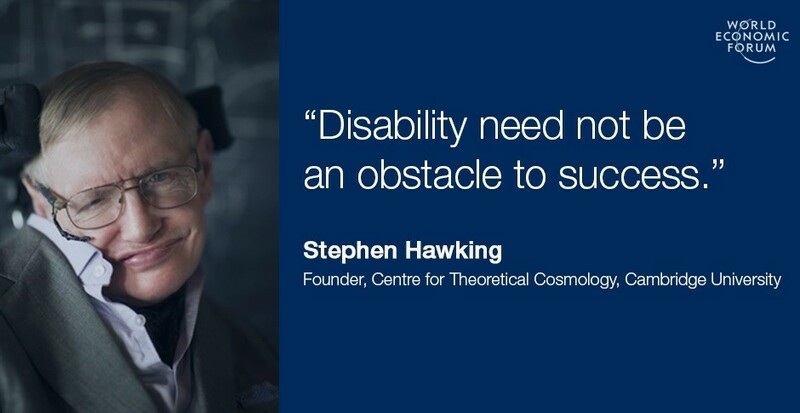 “Disability need not be an obstacle to success,” Stephen Hawking wrote in the first ever world disability report back in 2011. As one of the most influential scientists of modern times, the wheelchair-bound physicist is certainly proof of that. So why then are public attitudes so far from the reality? Almost 40% of respondents in a survey in Britain said that disabled people aren’t as productive as others. In the same survey, a quarter of disabled people said people expected less of them because of their disability. It is these sorts of attitudes, rather than any mental or physical impairment, that create barriers for people with disabilities. As these leaders from the world of sports, culture and business show, it’s about time we changed those outdated beliefs. “I went blind at 22. From an athlete, I became a young man with a white cane, unsure how to live my life,” Mark Pollock, a Forum Young Global Leader explains. But very soon, he found a deeper purpose in life, and realized his disability didn’t have to stop him from achieving great things. He had a choice: to let his disability define him for the rest of his life, or to continue fighting. There was only ever one way it was going to go. “If I just sat in a wheelchair, I’d be giving up completely,” he remembers. Today, he’s working with other leaders from science, technology and communications to fund and fast-track a cure for paralysis. 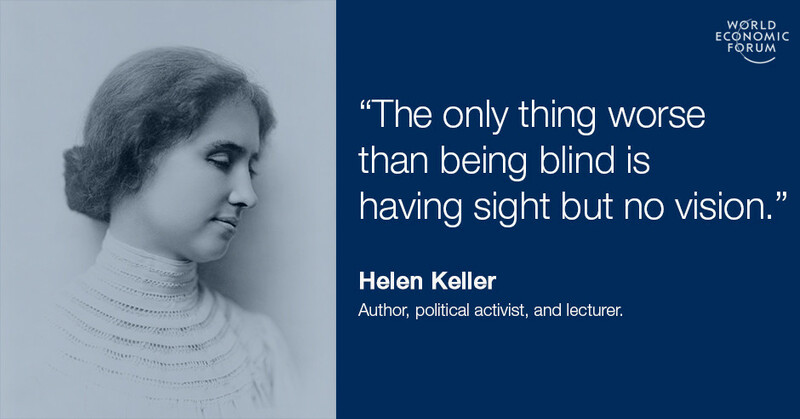 Born in the US in 1880, an illness left Helen Keller both blind and deaf before her second birthday. While the services available to people with disabilities were less extensive than they are today, Keller’s mother sought out experts and ensured her daughter received the best education. In 1904, Keller graduated from Radcliffe College, becoming the first deaf-blind person to earn a bachelor of arts. It was at university that her career as a writer and social activist started. Today, the Helen Keller archives contain almost 500 speeches and essays on topics as varied as birth control and Fascism in Europe. She would go on to achieve international acclaim, becoming America’s first Goodwill Ambassador, and to this day she remains an inspiration to the deaf and blind. Ralph Braun was still a young boy when he was diagnosed with muscular dystrophy, an incurable group of genetic diseases that leads to a loss of muscle mass. A few years after his diagnosis, Ralph began to lose his ability to walk. While doctors warned him he would never be able to lead an independent life, the young boy was already proving people wrong, building the first battery-powered scooter. His passion would eventually lead him to establish wheelchair manufacturer BraunAbility. Mexico’s most famous artist was born with spina bifida, a condition that can cause defects in the spinal cord. At six, she contracted polio, which left one leg much thinner than the other. In spite of these challenges, she was an active child, but at 18 a bus accident left her with serious injuries. It was while recovering from the accident that Frida discovered her love of painting. She would go on to be one of the most famous Surrealists in the world. I deeply understand it’s a perfect post.